So you thought Dutch was an obscure language that only the Dutch spoke? Wrong! 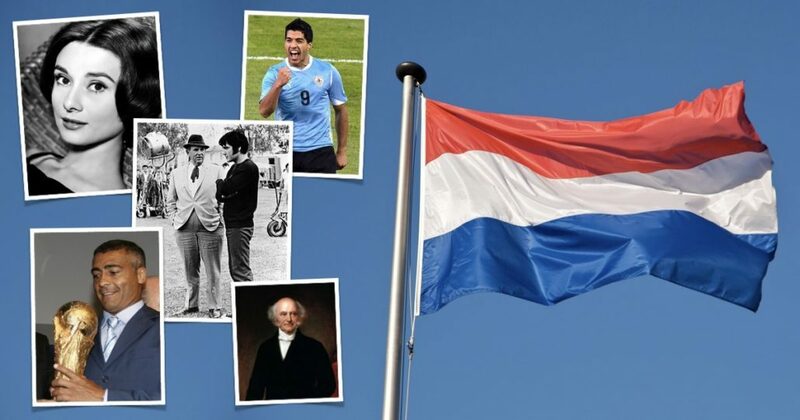 Meet 10 celebrities who speak or spoke Dutch. She was one of the biggest stars of Hollywood and Broadway. 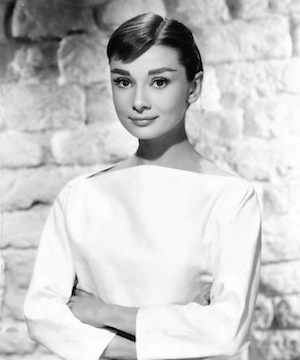 Audrey Hepburn spoke fluent Dutch. Before she became a fashion icon and one of the all- time biggest movie stars she lived in the Netherlands. She was the daughter of an English banker and a Dutch baroness. And because she was born in Elsene (Belgium) and later grew up in Arnhem and Velp (the Netherlands) she could express herself as a real Dutch person. Not Armin van Buuren, one of the most famous DJ’s in the world who also speaks Dutch because well.. he is Dutch, but here I’m talking about Martin van Buren, the eighth President of the United States. He played a major part in American history as a founder of the Democratic Party. 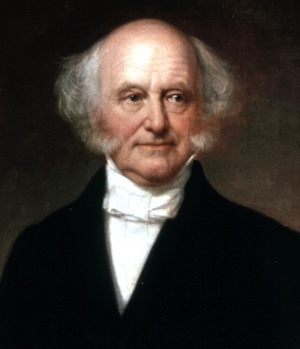 Van Buren (which means, of/from Buren, a place in the East of the Netherlands) was raised in a Dutch home. He spoke primarily Dutch, and spoke English with a distinct accent. From American politics, we move to Great Britain where we find Nick Clegg. 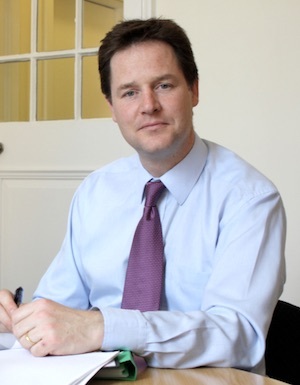 Clegg is a British Liberal Democrat politician who was the Deputy Prime Minister of the United Kingdom and Lord President of the Council from 2010 to 2015. Like Audrey Hepburn, Nick Clegg’s Dutch language comes from his Dutch mother. It is said that he used his Dutch language as a secret language with other European politicians to outfox David Cameron’s ‘spies’. From politics we move to sports. 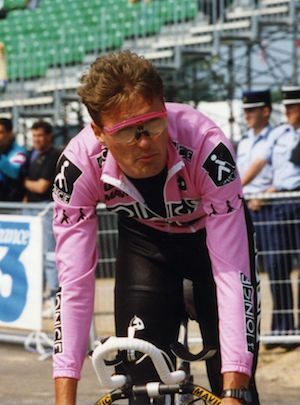 One of the most famous cyclists of the ‘90s, Alex Zulle, speaks fluent Dutch. 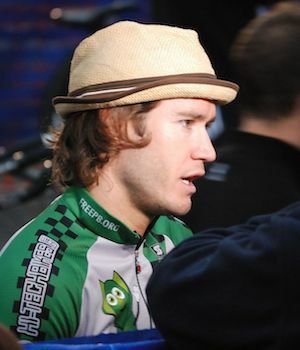 He won the Vuelta twice and finished 2nd twice in the Tour de France. He became popular in The Netherlands and Belgium thanks to his ability to speak Dutch. Zülle was born and brought up in Switzerland, the son of a Swiss father and Dutch mother. He almost didn’t become the great cyclist that we know today, because of the Dutch weather. He thought it was too windy to practise in the Netherlands, before his father persuaded him to pursue his career. 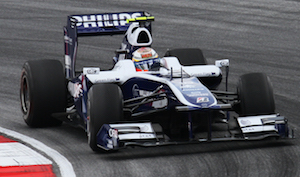 We stay in sports with number 6 on my list, Nico Hülkenberg. Hülkenberg is a German professional racing driver currently racing for the Renault Sport F1 Team. In 2015 he won the 24 Hours of Le Mans at his first attempt. He speaks fluent Dutch because in the beginning of his career he ran many races in The Netherlands. 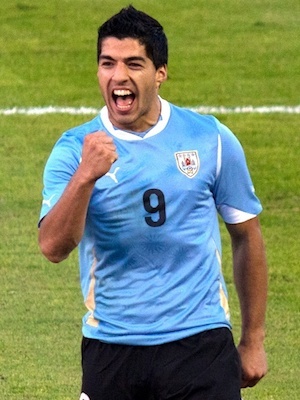 From Formula One we go to the most popular sport in The Netherlands, football, with one of the most controversial players around, Luis Suarez. Now superstar at FC Barcelona. In 2006, at the age 19, he relocated to the Netherlands to play for Groningen, before transferring to Ajax Amsterdam in 2007 where he played till 2011. During his time at Ajax he showed the two sides of his character and why he became so notorious: he scored many important goals but also bit an opponent. Colonel Tom Parker, maybe you don’t know his name but his influence on culture and the world can’t be underestimated. 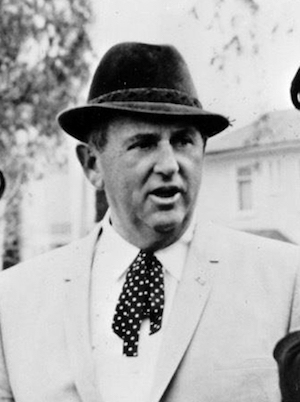 “Colonel Tom Parker” (born in the Netherlands as Andreas Cornelis van Kuijk) was Elvis Presley’s manager. His management of Presley was influential to the present day. His role as the mastermind behind the talent was seen as central to the success of Presley’s career. Colonel Tom Parker was also the reason Elvis never came to Europe. The manager came to the US illegally and didn’t have the papers to go abroad. If you grew up in front of the television in the nineties you definitely know the next actor, Mark-Paul Gosselaar, better known as roles as Zack Morris in Saved by the Bell. Gosselaar is the son of a Dutch mother and an American father of Dutch descent. Although he is fluent in Dutch he never spoke it in his role as Zack Morris nor in his other roles such as detective John Clark in NYPD Blue. In the eighties they were one of the biggest rock bands in the world with one of the best guitar players of all time… Van Halen. The brothers Eddie Van Halen (guitar) and Alex Van Halen (drums), both born in the Netherlands, later moved to America and became naturalized U.S. citizens. You can see their move from the way the names are written. The “v” in Dutch is written in lower case. Alexander and Edward van Halen. In anglicized versions of Dutch names the “van” is almost always capitalized. 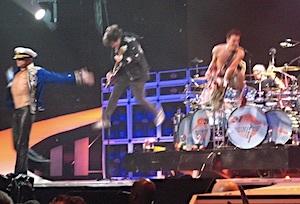 Which makes Alex and Eddie Van Halen, sound a bit more Rock ‘n’ Roll. And last but not least, Romario (de Souza Faria) one of the greatest footballers of all time. 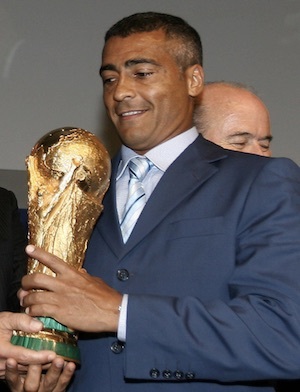 Romário moved in 1988 to the Netherlands to play for PSV Eindhoven. During his five seasons at PSV the club became champions three times and Romario was the big star of the team. His famous quote from this era is: ‘Ik ben soms een beetje moe’ (Sometimes I am a bit tired). So you see? 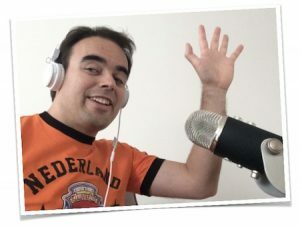 By following my online lessons, you can join a list of some very famous people…, at least from the point of speaking Dutch! heel interessant, Bart!! Bedankt voor informatie!! Heel interessant. Ik hoop dat ik vroeg of laat in het Nederlands succesvol kan communiceren. Bart de Pau is de beste docent in de wereld!!! Danke u wel ! 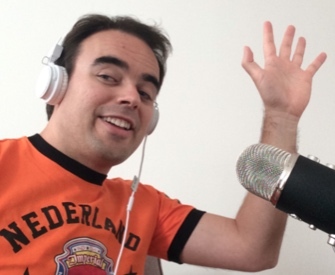 Have you thought of developing a Dutch class for the language portion of the “Inburgeren exam”? What about the group Golden Earring? Also: Do you have an online Dutch Grammar Couse? Wat over het groep Golden Earring? Ik ook zou meer informatie over online Dutch Grammar course. Thank you so much Bart, I thoroughly enjoyed these celebrity snippets and, of course, all your wonderfully interesting videos. 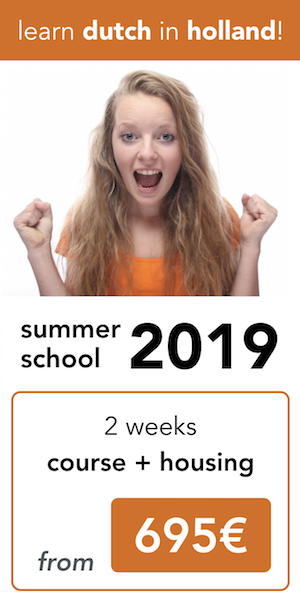 I do hope you are having a 2019 winter school in Amsterdam, as would really like to attend.